The grandMA3 onPC command wing is the ultimate grandMA3 mobile solution. In combination with the free of charge grandMA3 onPC software, the grandMA3 onPC command wing is a portable 2,048 parameter control solution that can be used in nearly any location – and all for an affordable price! It offers two built-in DMX ports as well as the possibility to send two additional DMX universes via Ethernet protocols with grandMA3 onPC software. 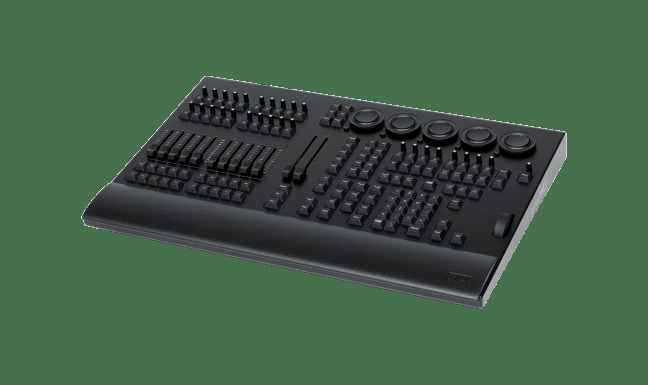 Designed as the perfect hardware expansion to the grandMA3 onPC software, the grandMA3 onPC command wing enables the look and feel of the software to be as close to a real grandMA3 console as possible. Thanks to the grandMA3 onPC command wing incorporating the command section of the grandMA3 consoles, it has never been easier to use the grandMA3 onPC software. With a simple USB connection between the grandMA3 onPC command wing and the computer running the grandMA3 onPC software, all inputs and outputs of a grandMA3 console are available to the user. 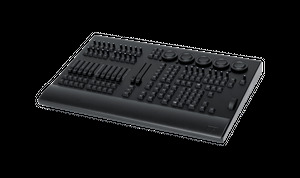 DMX, Midi, Timecode and Remote Control are all on hand directly at the grandMA3 onPC command wing.